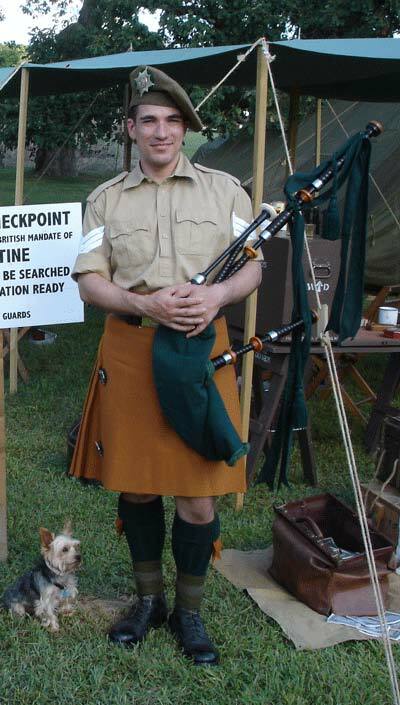 Mick Burgess, a member of an Irish Guards reenactor group. 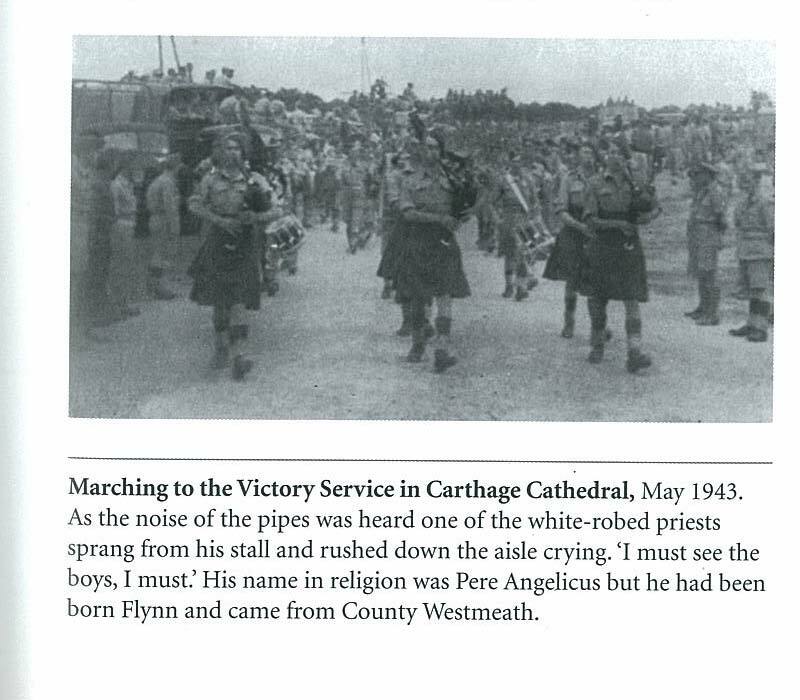 Again a shot of Mick with his warpipes and a mascot. 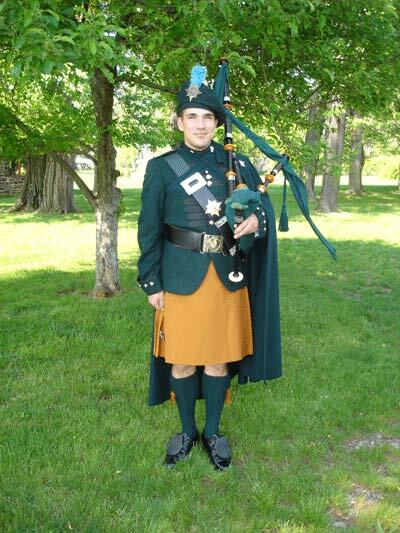 The dog is not exactly a wolfhound but has great spirit. 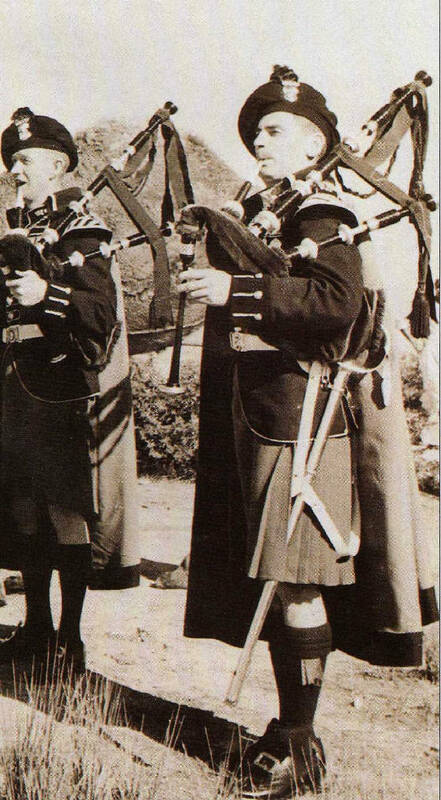 A Fusilier Pipe Major, 1950's. 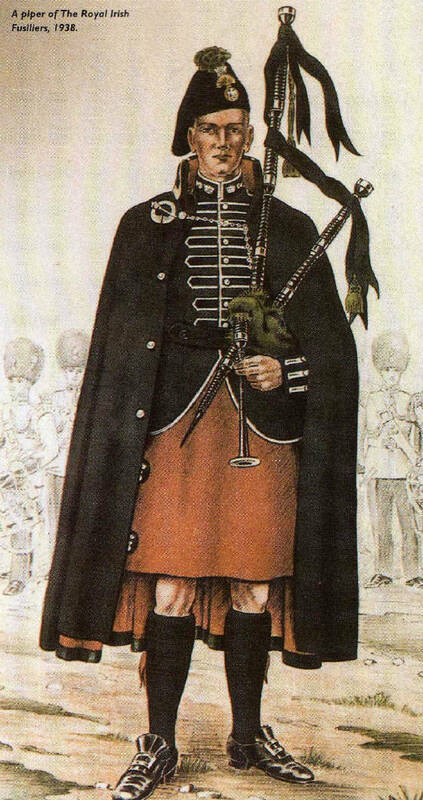 The Pipe Major is the only piper to wear a sword. 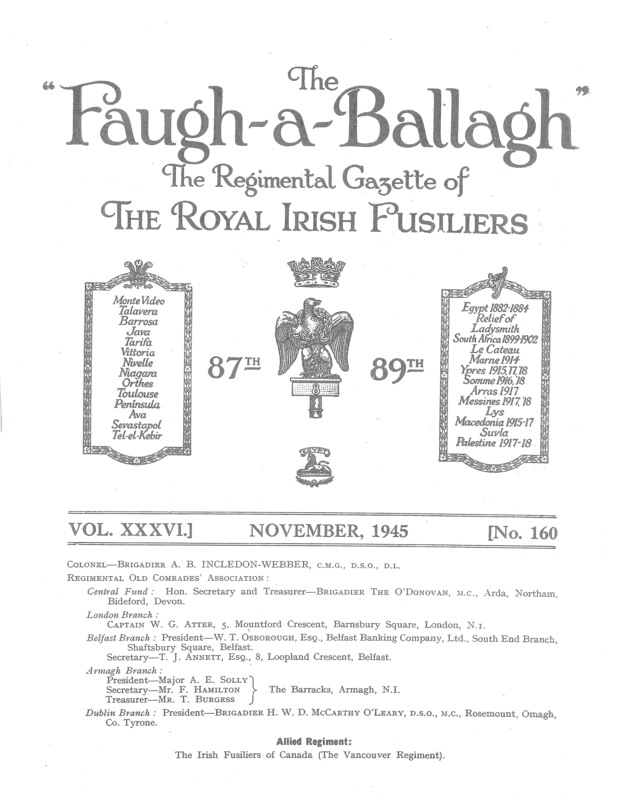 Above is a page from " Faugh a Ballagh " the journal of the Irish Fusiliers. This issue in my collection is dated November 1945.